Our Singing and Sailing 'maestro' Stuart Davis and his band Big Merino is producing an album. Check out the Indiegogo crowdfunding link because they are offering plenty of great opportunities including a Singing and Sailing in Sydney! 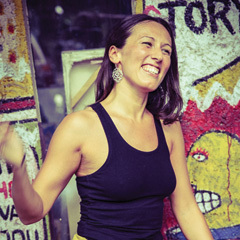 Our wonderful Moira Smiley will be directing a singing retreat in Bali in May and November next year. Check out her talk and music on TED.